Yeah, that’s the big campaign button I just dug out pinned to an old necktie. He was the guy accused of handing a few of his friends salaries that approached or exceeded a hundred grand a year and bankrupting Channel #29. No one answered when I asked if the ‘Save K’ people have been handing out these kinds of large salaries to themselves and their friends while promising that the cash they were taking to pay them from the general fund would be repaid with pledges? Why would you vote for someone who’d bankrupted your treasury by siphoning funds through the loophole of (“Here’s our IOU, we’ll pay you back when the ‘projected’ donations arrive but we want our cash now!!”?). Kaep under center tomorrow tho. The comments below this article are another clear case of the number of nuts and sectarians that circle around KPFA. Instead of dealing with the substance of the article, they attack the author (and a colleague) with specious reasoning. It’s these kind of attacks that make KPFA & Pacifica unattractive places for journalists and other sane people to work at. It’s this culture that has destroyed a once proud, progressive radio network. 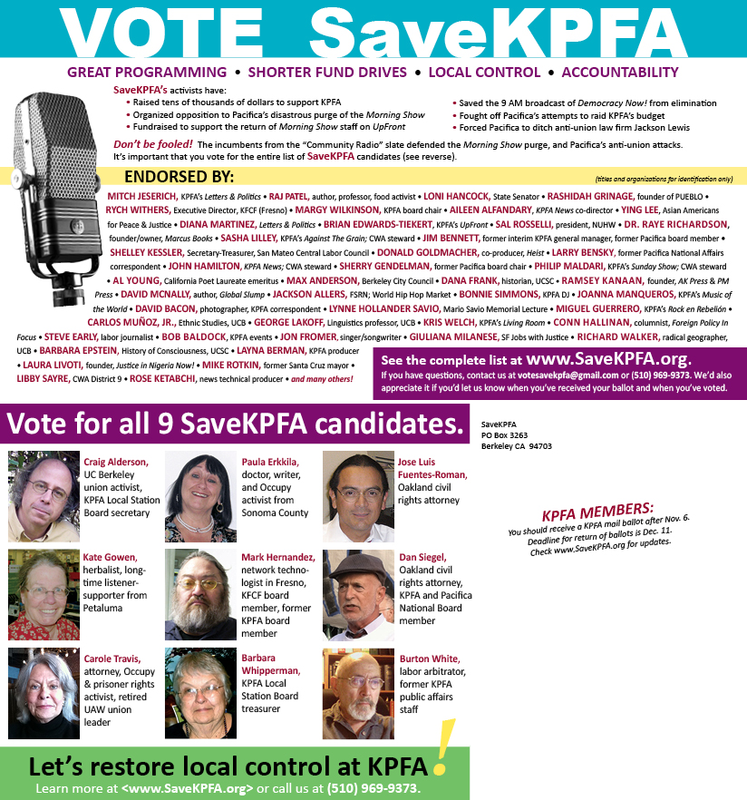 It is almost too late to rebuild, but most of us who want to try are voting only for SaveKPFA candidates: http://www.SaveKPFA.org. Please take a look at the extremely long endorsers’ list after you read this article. 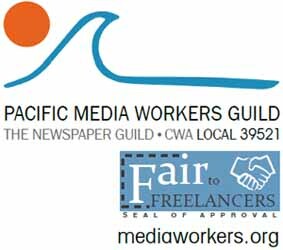 These are people who know what KPFA and Pacifica mean to our movements.